Smog Check - Marin Express Lube | You Ride On Our reputation!Marin Express Lube | You Ride On Our reputation! As a Star Certified Smog Repair and Service Facility, Marin Express Lube has repaired thousands of Vehicles considered un smoggable. 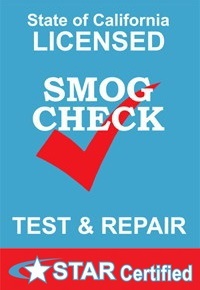 Why go to another test only station and fail a smog test, when Marin Express Lube can help you pass the first time! All of our professional Technicians are ASE certified! There is no job we won’t tackle. No job we have not seen before and more importantly, no customer we will not satisfy! Our only goal is to make sure that your car is back on the street in a timely manner, running better than before. There is no written estimate that we cannot beat!